Vapore is an excellent cleaner that also moisturizes your skin with jojoba, macadamia and aloe oil extract. Vapore contains a unique blend of the most effective makeup removing ingredients in single formula. Because of its versatility, Vapore is capable of cleaning virtually any cosmetic grade makeup and also remove adhesives used for prosthetic, glitter and hair application. 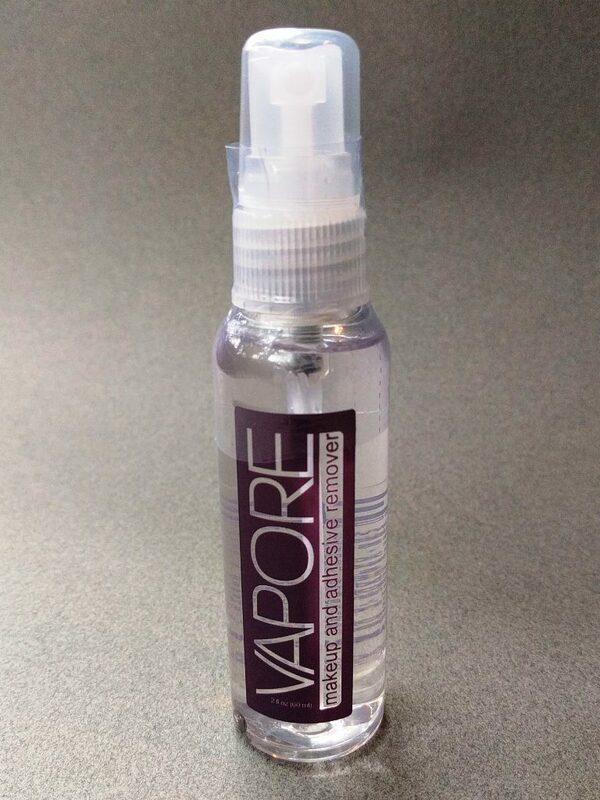 While Vapore is a powerful remover, it can be used more frequently than pure alcohol due to its moisturizing benefits. For a non-solvent based cleaner, please learn more about Unveil. Note: Because Vapore contains oil, it will bloat the edges of your foam latex prosthetic, making it extremely difficult to blend the edges if you want to use it again. We recommend that you first remove your prosthetic with 99% alcohol (91% will work, too). Then, remove any leftover makeup on your skin using Vapore. Made in the USA by EBA with FDA compliant ingredients.